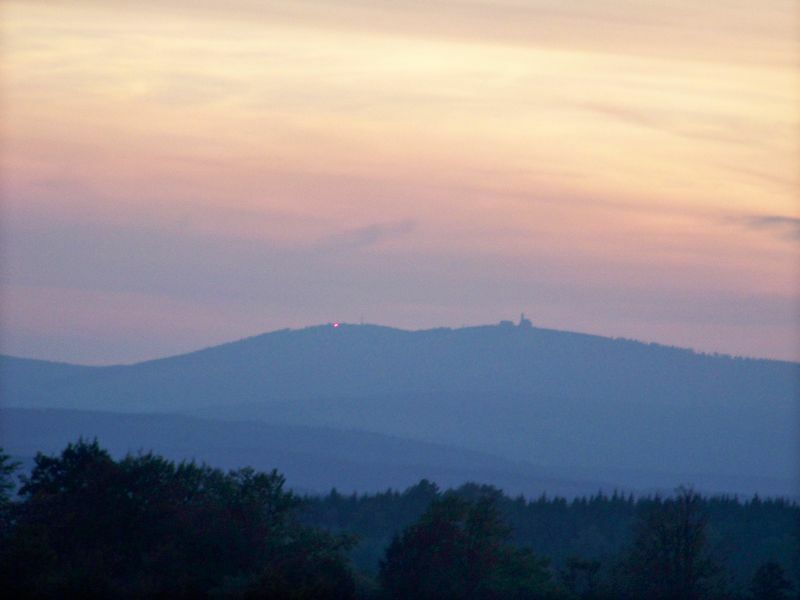 Last weekend i participated in the UHF/SHF Contest within the DM7A team from JO60LK (Fichtelberg). The day’s before i completed my laser station. (Mechanical stuff for adjusting the laser diode and modifications for getting modulation working). 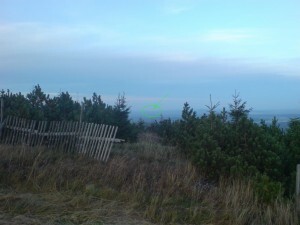 A first test via reflektion at a house in 500m distance was promising. With Marcel DK5WMA a sked was arranged for saturday afternoon. 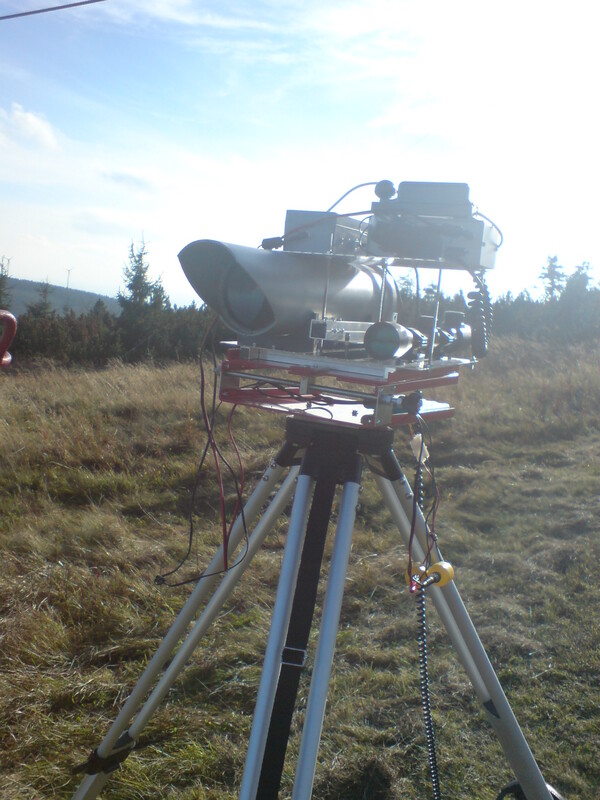 I mounted the laser transceiver at the Fichtelberg. Marcel’s QTH was the Hirtstein in JO60OM. 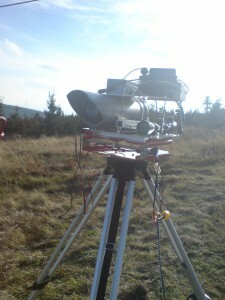 I adjusted the telescopic sight to the prominent wind wheels at the Hirtstein and switched on the laser. Marcel was able to see the beam immediately. How crazy. The sun was still above the horizont. The test from JO60OM into my direction did not work at first and we decided to wait for sunset. We tried again right after sunset and after some minor adjustments at Marcel’s side the twoway connection was working properly. Amazing to hear the voice over around 20km distance. We both took a photo of the red dot at the other side. 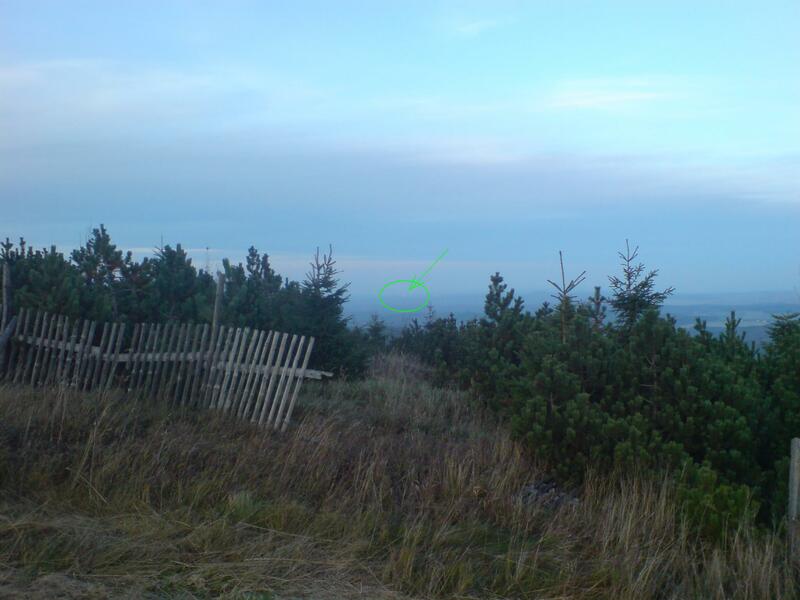 Obviously DK5WMA’s camera is much better ;) See some photo’s below. DK5WMA as seen in JO60LK, my camera is not that sensitive.